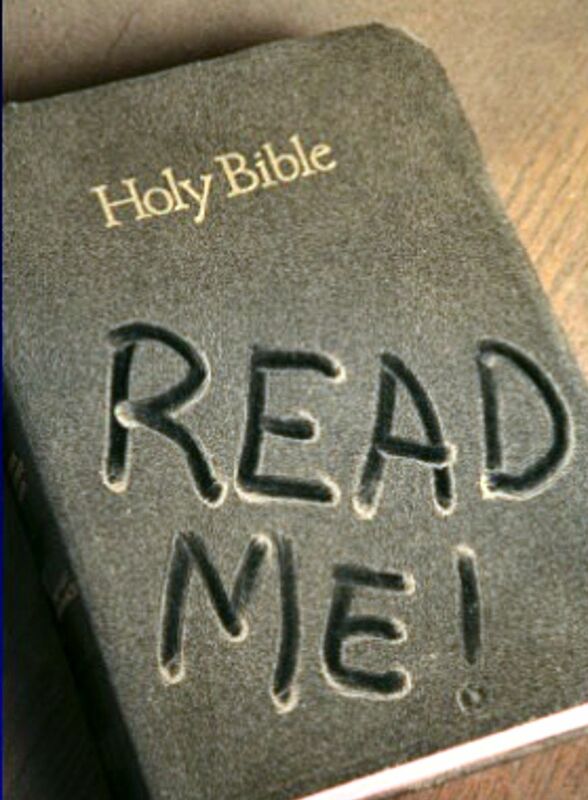 If your Bible looks like this, it might be time to open it up and give it a try! Like many Catholics, I have always owned a Bible and believed it to be a very important book, but rarely found myself sitting down to actually read it. That’s not to say that I didn’t know much about the Bible, because I did. By virtue of simply attending mass for 24 years, I was presented with two readings, a psalm, and a Gospel passage every week as a part of the three-year Lectionary cycle. There is a difference, however, between being familiar with a story and knowing it in its context of the other stories. So much of the historical significance and theological purpose of a passage is lost if it is read within a historical vacuum because the reader has no idea what has led to these events. When reading a text, as with a movie, television show, or the life of another, how can one begin to understand the emotion, the atmosphere, the drama, the relationships, the implications, or the subtleties without first knowing the back-story? In the case of sacred scripture, how can one truly claim to understand the teachings of Jesus without first understanding the Levitical laws that dictated the religious context, the history of the people of Israel that shaped their social constructs, or most of all, what they believed about God? This is what I set out to learn during my novitiate year. Knowing that I had a lot of time for private prayer and meditation, I committed myself to completing the entire canon of scripture before I was professed. I picked a Bible, (I strongly suggest this one) went to the last page, and divided the number of pages by the number of days I wanted it to take. Five pages a day. That’s it. All it would take for me to read the entire Bible was to read five pages a day. When you consider how many of those pages are maps, charts, and title pages, that didn’t seem like it would be that difficult. It wasn’t. The more difficult task, actually, was deciding the order in which I would read it. Rather than simply reading each book in the order in which it’s listed, (the historical books, then the wisdom books, then the prophetic books, and so on,) I decided that I was going to do a little research and instead read them based on the best scholarly guess as to when each was written. The reason I say when the text was written as opposed to when the events took place is significant. For instance, 1 and 2 Kings and 1 and 2 Chronicles are written about the same events, the pre-exilic history of Israel. The difference between the two is that the authors of these books are writing in completely different historical contexts and thus, have completely different purposes for writing. To read them back-to-back might be helpful given the similar content (although the discrepancies in details might be a bit confusing), but I found that reading them separately, among books with a similar context, helped to bring out the particular theology and historical backdrop of the author. The same can be said about all of the prophetic books: it’s much easier to understand the message of a prophet when one understands the historical events that provoked their preaching. Using biblical commentaries, clues within the texts, and pre-made bible guides, I came up with a Bible Reading Guide of my own Each book is marked based on the significance I felt that it had for the overall understanding of salvation history, denoted by bolded texts to represent the most important books, underlined texts to represent books necessary for a scope of salvation history, italicized to represent books than can be skimmed rather than read in full, and (in parentheses) to suggest that these books be skipped completely, or read after a complete understanding of biblical texts, as they can be the most misunderstood. I can’t say that I’m any closer to being a biblical scholar at this point, nor can I say that I have retained everything that I read (it’s a big book! ), but what I will say is that the process of reading the whole bible was one of the most fruitful aspects of my year in novitiate. Being more familiar with scripture has helped me my prayer, my understanding of God, my attention at Mass, and my overall confidence speaking about my faith to others. I cannot stress enough the importance of reading scripture on a regular basis. Which brings me to my last point: try it yourself! It can seem like an overwhelming task at first, but trust me when I say that it’s manageable. I think the first step for anyone who wants to know more about the bible is to simply open it up and familiarize yourself with it: flip through the table of contents, get a feel for which books are in which Testament, see which books are longer than others, and read little snippets of books to get a flavor for different genres. Before you begin any sort of reading plan, however, I strongly suggest reading the general introductions found in the Catholic Study Bible, or another introduction to the Historical-Critical Method, as they are excellent resources to reading the texts properly. I cannot stress enough the importance of proper reading techniques. From there, read as you feel comfortable. Read the texts, the notes, and the commentaries. Read with others and read alone. And most of all, read prayerfully!